Located in St. Petersburg, Florida, Guardian Eagle is a leader in providing clients with solutions to their complex, data-centric challenges. With more than 14 years as an Oracle Gold Partner, we have been offering database managed services and supporting database environments before client-server was a new, hot thing. Our core strengths are advanced database administration and replication, data consolidation, small-to-enterprise-class data storage, disaster recovery, and data compliance solutions. We employ a talented staff of developers and DBAs who assist customers all over the United States in a wide range of industries, including a large local financial services company who recently implemented Oracle Database Appliance. This customer made a strategic decision to migrate to Oracle Database from Microsoft SQL Server, and selected Oracle Exadata for their mission-critical enterprise data warehouse system. After the successful, large-scale migration was completed, the time came for updating smaller, line-of-business (LOB) applications that were on older servers. The company decided to go with Oracle Database Appliance. They saw Oracle Database Appliance as an opportunity to implement a solution that offered a clean, fully supported engineered architecture and consolidation platform, and allowed them to stay in line with Oracle best practices and simplified support by going through one vendor. Oracle Database Appliance did an outstanding job of providing a consolidation platform that is consistent and predictable, and also allows the client to pay as they grow for Oracle Database licensing—keeping costs in line with actual needs. Only paying for licensing they need when they need it, saved the company thousands of dollars. Other benefits of Oracle Database Appliance were much faster setup time, simplified patching, and virtualization. 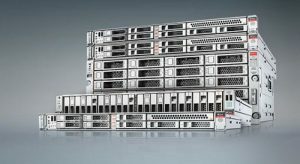 It is important to note that without a complete understanding of what Oracle Database Appliance can do; customers can waste precious time and compromise the benefits of a purpose-built appliance. Because of its ease of use, many administrators can get through the basic Oracle Database Appliance template-based setup, but having an experienced team likeGuardian Eagle with years of expertise is the best way to maximize your ROI. Being able to fully understand the strengths and use cases for Oracle Database Appliance is key. Equally as important, is knowing how and when to manually build databases and to leverage the OVM capabilities of Oracle Database Appliance for applications. We hear that it is still a bit chilly in some parts of the country. So if you would like to warm up and hear more details about Oracle Database Appliance, please join us on April 5, 2017 in sunny Orlando, FL (where temps are in the mid-70s) for a lunch-and-learn session. Click here to register or email megerter@eagledatagistics.com for more information.